One frustration I always had with Microsoft Excel 2003 was that you could not deselect using ctrl+click. Ctrl+click would only ever add to the selection, and never subtract from it. I figured that I’d check to see if, by 2013, Microsoft had finally got the hang of selecting. 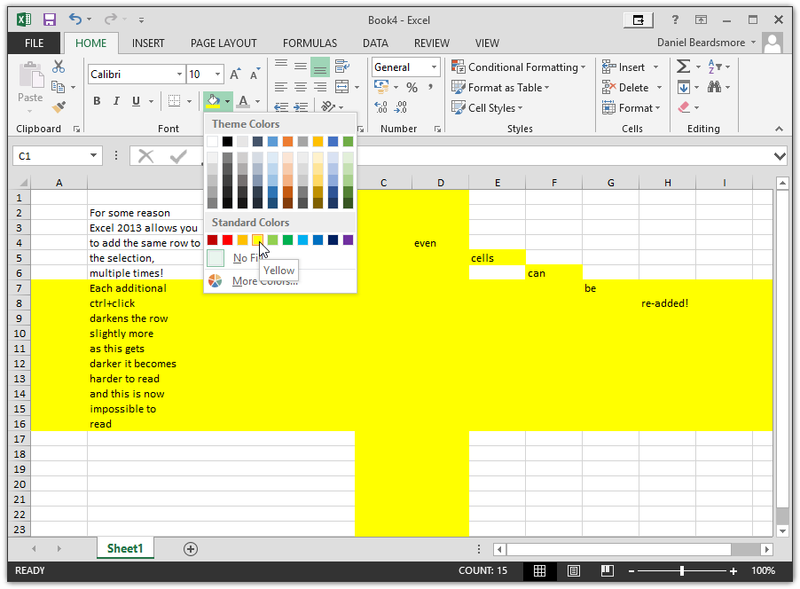 The actual result was rather odd: not only does Excel still treat ctrl+click as add, but it also got confused and drew the row highlight twice. Or at least, that’s what I thought had happened. I noticed that any actions that triggered a redraw, such as minimise and restore, scrolling, or resizing columns, did not clear the fault. 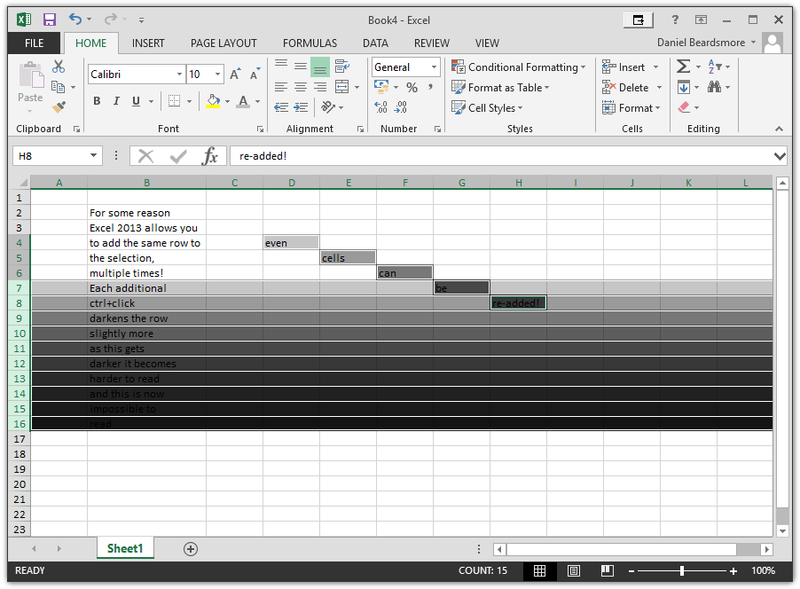 Therefore, Excel really did add to the selection. 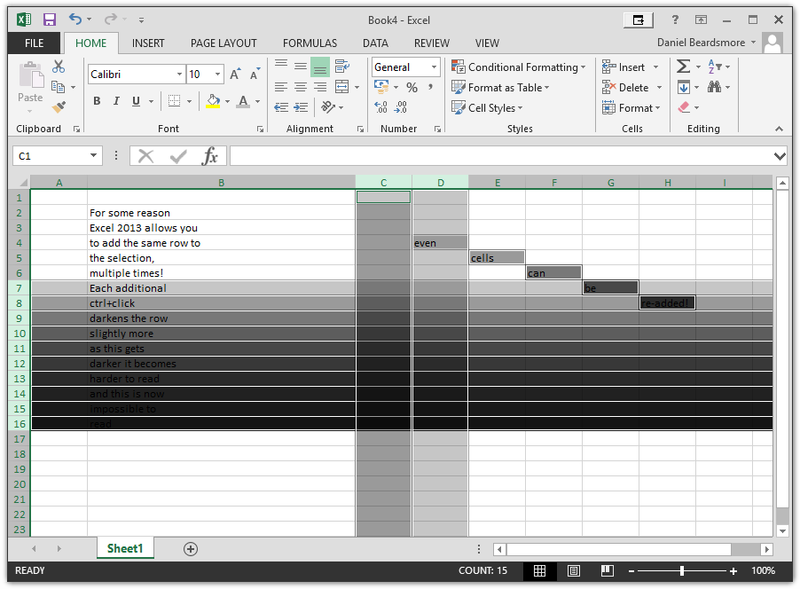 Since the selected cells are overlaid with a transparent grey rectangle, the increased darkness of the cells shows that Excel is adding the same rows, columns and cells to the selection repeatedly! You can see that if I set the background colour of the cells, the different shades of grey in the selection remain preserved. In fact, just pointing to the colour palette causes the shading to disappear momentarily, and then return afterwards. 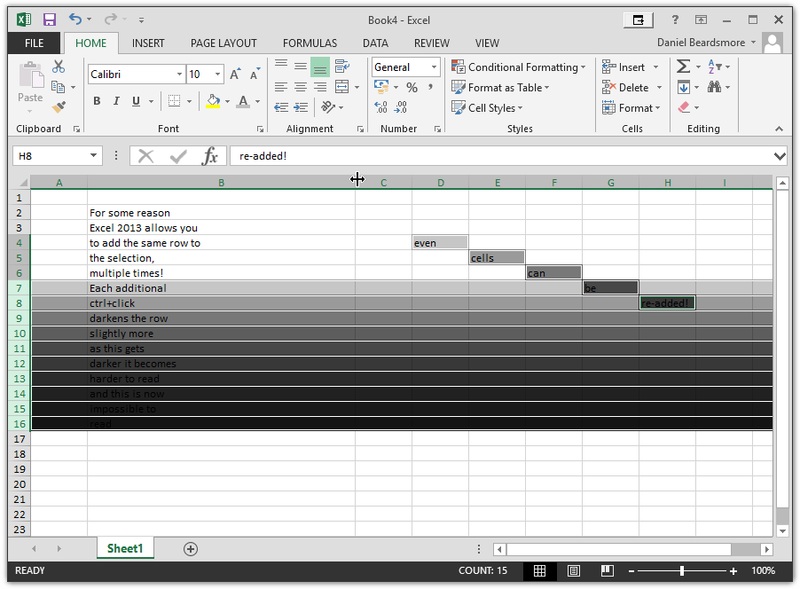 For all I know, Excel has always had this fault, and a new cell shading implementation has finally showed it up. I don’t have Office 2016 to hand, otherwise I would check to see if this bug is still around. Posted 19th January 2017 – Comments and questions?